Here’s how to download and install WhatsApp++ IPA on iPhone running iOS 10. No jailbreak is required to get this working. You may have heard of the fantastic Pokemon Go++ experience, which looks to bring a host of new features and functionality to the game. Well now you can have the same type of enhancements but this time for one of the world’s most popular IM app for mobile and web; WhatsApp. So what exactly is WhatsApp++? Well, in a nutshell, WhatsApp++ not only enables advanced WhatsApp features that are not found in the regular official version of the app, but it also gives you the chance to run two different instances of WhatsApp on your phone, one from the App Store and one being this one, so that you can have multiple WhatsApp accounts on the same device. Best of all, you can have this running on a non-jailbroken device, including the latest version of iOS 10. We have the entire process laid out for you below, step by step complete with screenshots. So without further ado, let’s get down to business. Step 1: To begin, launch Xcode on the Mac. Step 2: Next, download ppsideloader zip package from here. Step 3: Now download the WhatsApp++ IPA file from here. Step 4: Unzip the ppsideloader zip file that you downloaded in step 2 above. The unzipped folder will contain an IPA file. Replace that IPA file with the downloaded WhatsApp++ file from step 3, but make sure that it is renamed to app.ipa first before moving it to the extracted folder and replacing it with the original app.ipa file in the same folder. 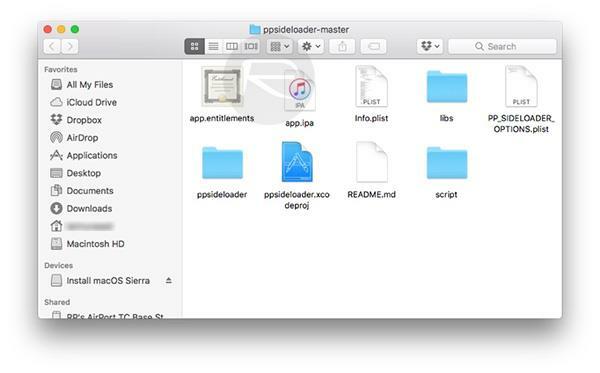 Step 5: Still in that folder, launch the ppsideloader.xcodeproj file that’s located within it. This will open the project inside Xcode. Step 6: When Xcode is open, from the menu bar on top, click on Xcode > Preferences. 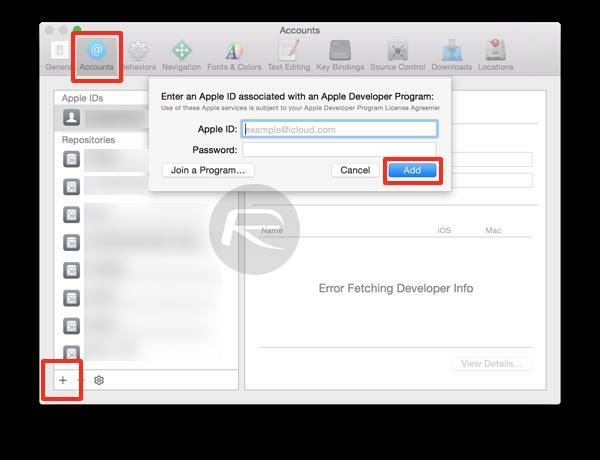 In the resultant window, select Accounts tab, then click the ‘+’ button and choose the Add Apple ID… option. Now sign in using your Apple Developer account ID and password here. Step 7: Back in the main Xcode window, select the ppsideloader on the left hand panel. You are now going to need to change the Bundle Identifier to one of your choosing. It’s standard to use something like com.[yourname].whatsapp. In this example though, we have gone with whatsapp-redmond. Step 8: In Team, click the drop-down box and select your Apple ID. This may show you an error. Clicking the Fix Issue button though should fix the problem. Step 9: In Deployment Target, select your iOS version. 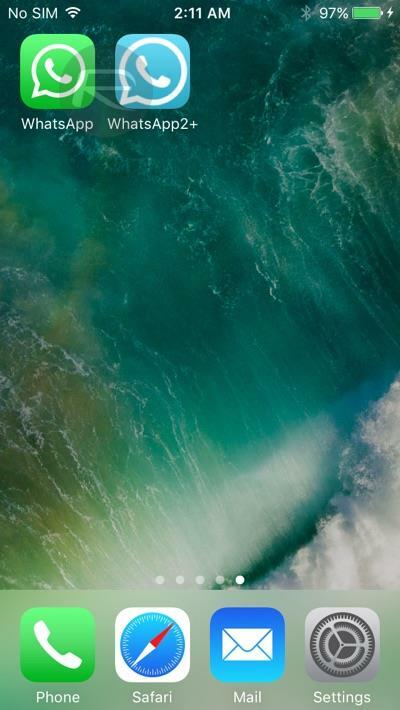 We recommend selecting iOS 9.3 even if you are on iOS 10. 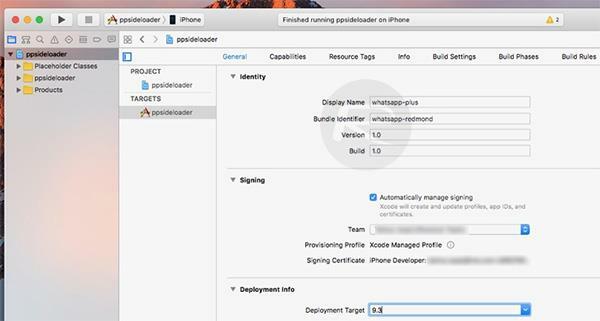 Step 10: Next, make sure that the iPhone is plugged into the Mac, and that the connected device is chosen from the targets at the top of Xcode. Congrats! 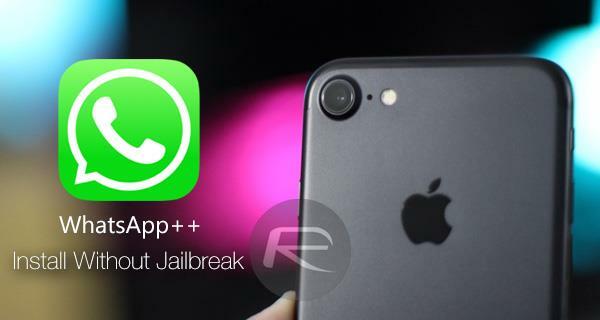 You have just successfully sideloaded WhatsApp++ on your non-jailbroken iOS device. 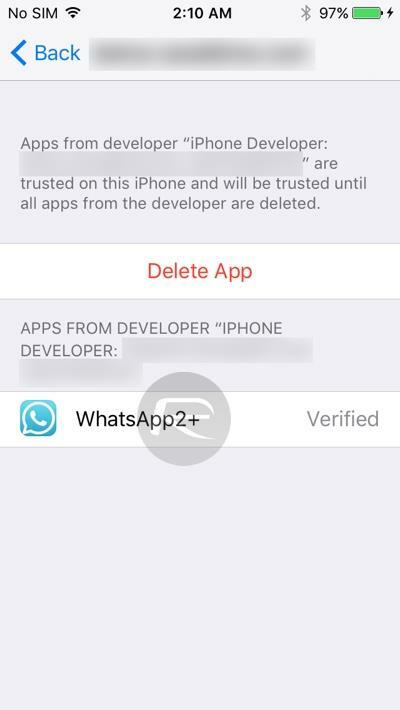 Step 12: Now though if you try and launch the WhatsApp++ app on your iPhone, you will be informed that the app is from an untrusted developer, resulting in the app failing to launch. And there you have it. Go back to the Home screen and run the WhatsApp++ (shown as WhatsApp2+ or WhatsApp++ or simply WhatsApp – depending on the version you have installed) app. It should now run without any problems. Update: You can now also install WhatsApp++ using Cydia Impactor on both a Windows machine or a Mac. Simply download the WhatsApp++ IPA file from above, and then follow instructions here on how to sideload it to your device: Sideload iOS Apps On Windows, Mac With Cydia Impactor Without Jailbreak, Here’s How.